I try to get the kids to eat new foods regularly. 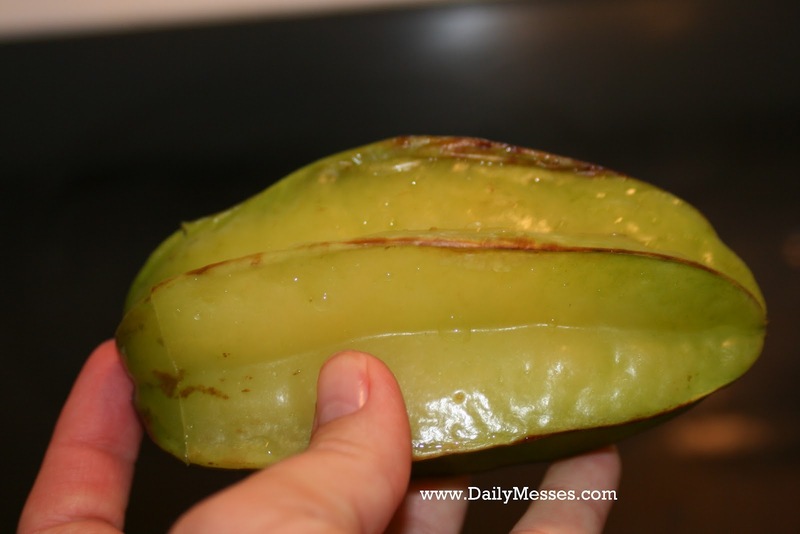 On our last trip to the grocery store, I picked up a starfruit (aka carambola), which we had never had before. I did some reading on the starfruit before I bought it to tell which ones were ripe (feel firm, brown ridges, should be a yellow color. Whoops, I think ours was too green!) and what they would taste like (pear/apple/citrus combo). 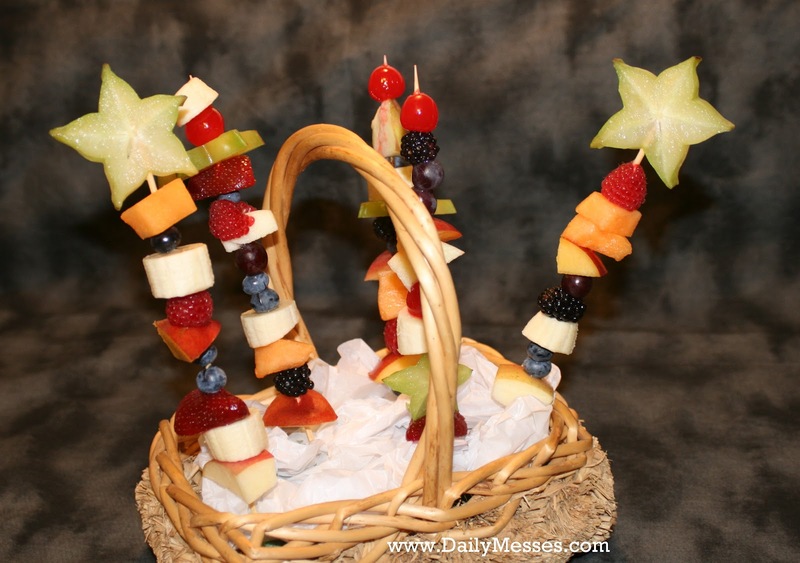 Lately, the kids have enjoyed eating anything on a stick, so I thought if I placed it on a fruit kabob it would be a success. The kids ate the rest of the fruit (peach, apple, blackberry, banana, strawberry, cantaloupe, cherry, blueberry). 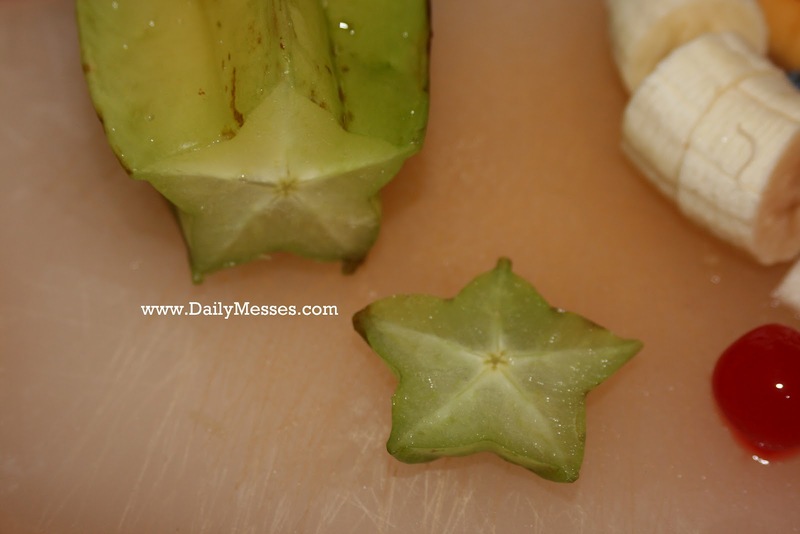 They took a few bites of the starfruit, but didn't eat all of them. I think that is partly my fault; when I bought it I only remembered that the ridges were supposed to be brown, but forgot it should be a yellow color too. The fruit was still pretty green and was probably not as sweet as it could have been. Oh well, I learned and we'll buy a yellower one next time! tissue paper. 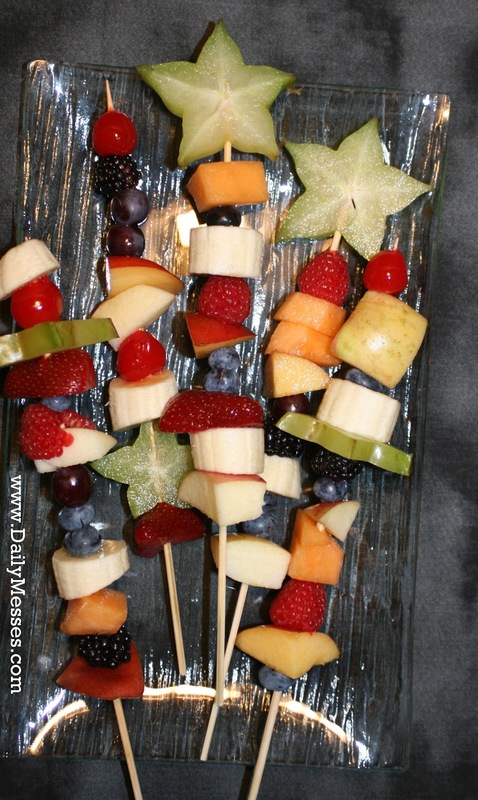 Poke in skewers!